FAIRFIELD, Conn. - Rocco & Associates Wealth Management, Inc.( www.roccoandassociates.com ) has announced that it has aligned its advisory operations with MONECO Advisors LLC., ( www.monecoadvisors.com ), another tenured financial planning firm also located in Fairfield. This new affiliation will combine two veteran teams that both believe will offer unmatched coverage and range to clients when it comes to financial planning and investment management. The new alliance will allow both firms to remain independent while expanding the resources that their combined existing, as well as prospective clients will have access to. In addition, it will give both firms increased flexibility and a greater capability to assess, design and implement a host of financial planning strategies across all areas of one’s financial life. This would include, but is not limited to savings, asset management, retirement planning, tax, debt and risk management, education planning and wealth transfer and charitable giving. Between the two firms they will have a team of five Certified Financial PlannerTM professionals, two Accredited Investment FiduciariesTM, one Certified Investment Management Analyst® designee, and two lawyers to help meet increasing complex financial planning topics that face individuals, families and businesses today. On Thursday July 26th, both firms and will hold a ribbon cutting ceremony, officiated by First Selectman Michael Tetreau, beginning at 4:00 P.M. at the MONECO office at 2150 Post Road, Fairfield CT, Suite 201. Members of the press will be invited to attend as well as colleagues to enjoy passed appetizers and beverages. “In today’s complex financial world, it is our belief that in order to effectively meet the evolving needs of clients, a firm must have the right team in place that has the depth and breadth to execute and exceed client expectations,” said Chris Neubert, President of MONECO Advisors. “The new alignment with the team at Rocco & Associates will help us execute on this vision,” said Neubert. The teams have already organized internal committees to synthesize the processes related to client service, investment management, business development, compliance and financial planning. Each unit has been tasked to research and implement improvements in all areas to overall enhance the client experience and the consistent delivery of services firm wide. 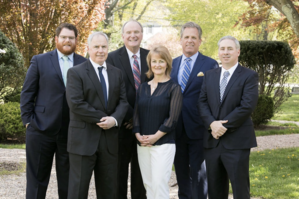 “We are more committed than ever to provide a level of service that is unmatched, with a goal to be the most referable firm in Fairfield County and beyond,” said Charlie Rocco, President and CEO of Rocco & Associates. “Based on the scale of the new alignment, we will now be able to allocate additional resources towards technology, risk management tools, portfolio construction and management, as well as business development initiatives that focus on the community that we dutifully all serve, “ said Rocco. The two firms see this initial alignment as just a first step towards a full integration that would eventually combine all firm messaging, branding, communications and new client engagement. MONECO Advisors was founded in 1980 at a time when the financial services industry was filled with stockbrokers taking orders and chasing hot stocks. Transactions ruled, and clients’ best interests were often lost in the shuffle. Since its inception, the team at MONECO always felt that clients deserved more. The firm was built to provide a truly client centric approach: In-depth financial planning that puts each client’s needs, priorities and goals at the center of its relationships. The firm strives to use its diverse experience, resources and a deep understanding of today’s financial planning topics to help give clients confidence, knowing that their financial future is in good hands and on track..
About Rocco & Associates Wealth Management, Inc.
Rocco & Associates Wealth Management, Inc. was founded in 1973 to assist individuals and families across all aspects of their financial lives. The firm provides life planning and seeks to create financial stability and independence for each client. In doing so, Rocco & Associates Wealth Management has earned a reputation for excellence within the community by providing high-touch, personalized, service. Our team has provided objective advice and guidance for over 40 years.